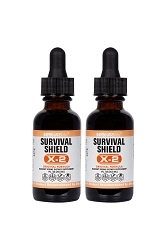 Derived from 200 million year old salt solutions found more than 7,000 feet below the Earth's surface, the next level of Survival Shield is now here and much stronger than our original formula with a powerful 650 micrograms per single drop. 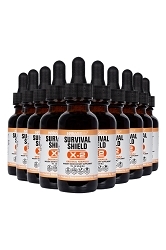 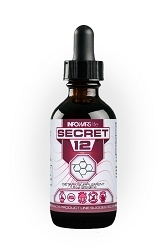 Experience the benefits of next level proprietary nascent iodine, developed using our Thermodynamic Pressure Sensitive High Energy Sound Pulse Nano-Emulsion Technology that allows for a highly unique nascent iodine that is both concentrated and free of unwanted additives and genetically modified ingredients. 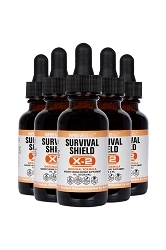 We even pre-screen our Survival Shield X-2 iodine for radiation during our quality control phase.